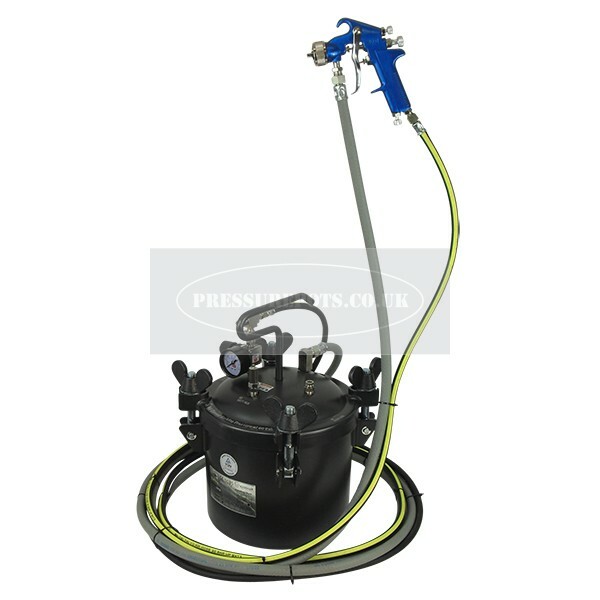 We have a pressure feed tanks to suit all requirements, sizes from 2 litre to 50 litre, some with a choice of either manual or pneumatic agitation, and the option (on 10 & 20 litre models) of a bottom feed to suit heavy coatings. 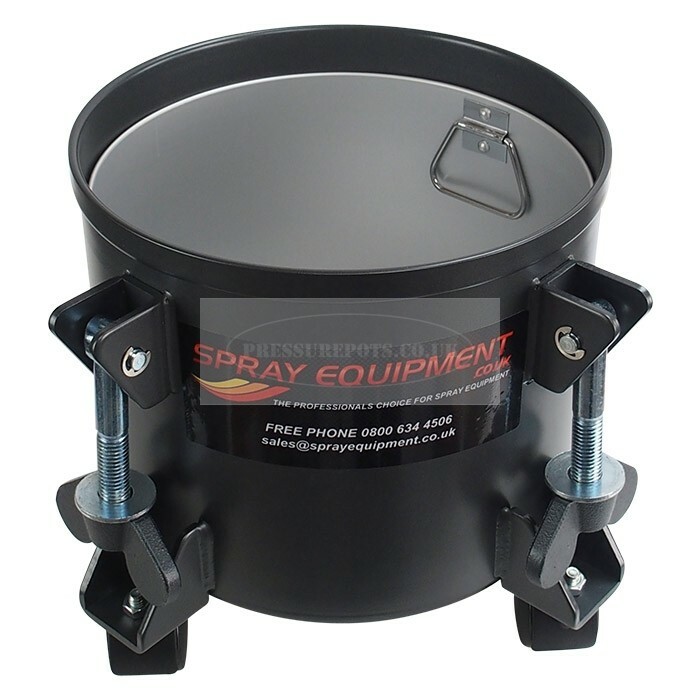 These are ideal for a production environment or where ever a large surface area needs coating to a high standard quick time. 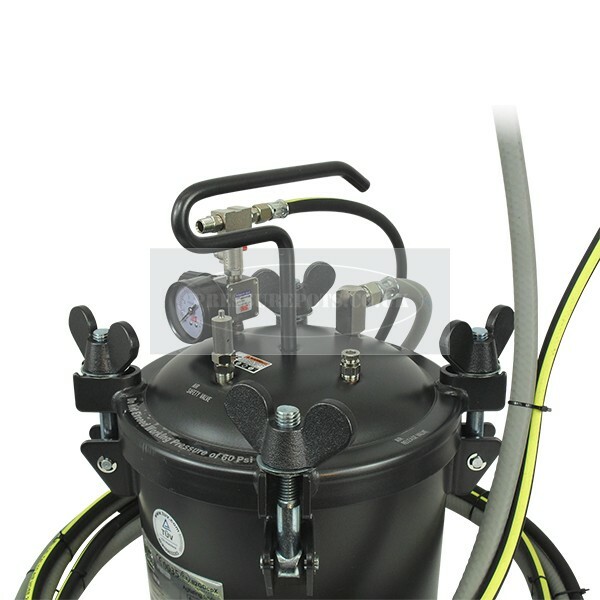 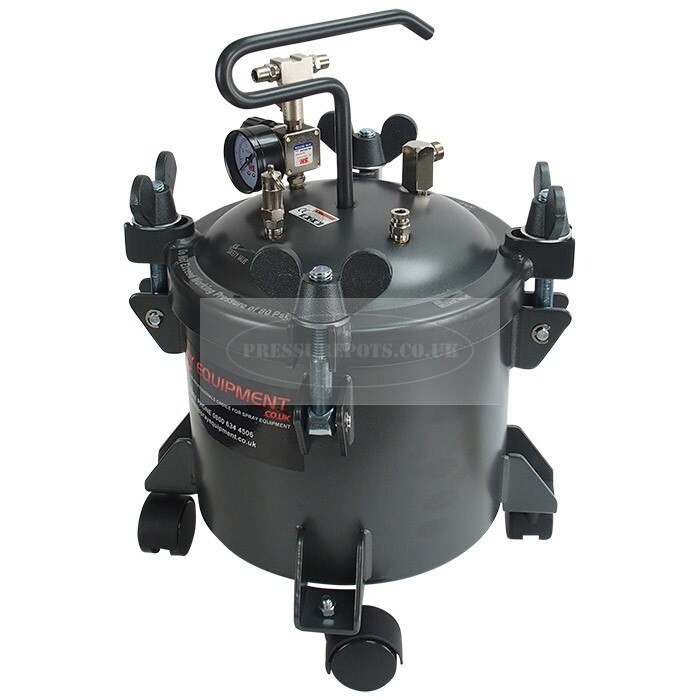 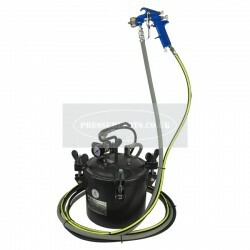 All of our pressure feed tanks are supplied ready to use complete with pressure gauge, air regulator, safety valve and air & material valves, top feed models are also supplied with a material strainer, we can also supply complete with both air and fluid lines ranging from 5m to 20m and a choice of pressure fed spray guns. 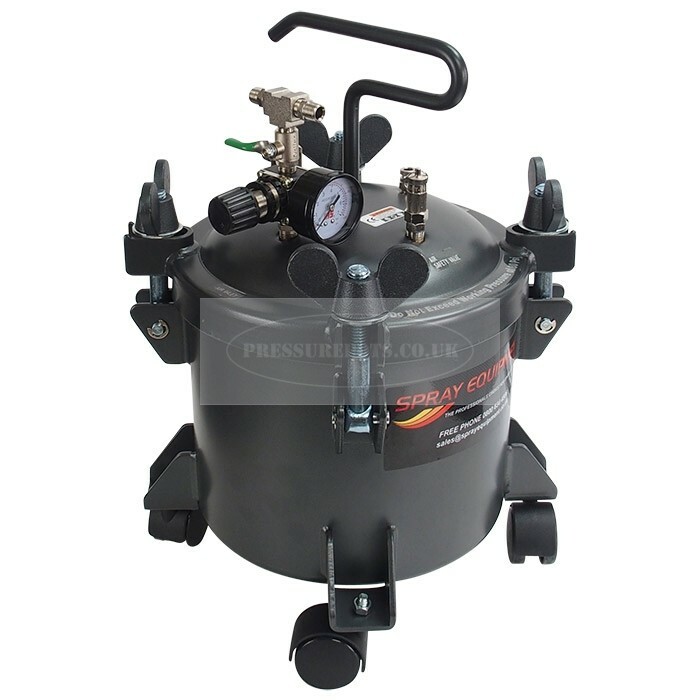 The maximum working pressure is governed by a mechanical safety valve, recommended good working practice is to use at a maximum working pressure 10psi less than technical maximum.